The Maine Department of Education’s proposal for the high school diploma, as referenced in this recent priority notice, was released from the Maine State Legislature Office of the Revisor of Statutes on Wednesday, April 4 as LD 1898, An Act To Amend Maine’s High School Diploma Standards and Ensure Maine Students Meet State Standards upon Graduation. The Commissioner requested that the Department’s proposal be submitted as a “Governor’s” bill to allow for the greatest possible opportunity for discussion between the Department and the public. The Department considers this discussion to be an open dialog and we look forward to further conversations. A public hearing is expected to be scheduled for early next week. Once it is scheduled, it will be posted on the Joint Standing Education and Cultural Affairs Committee calendar. In anticipation of the public hearing, the Department is providing an updated summary of what the bill does and does not do. Removes the mandate that districts base a diploma on an undefined concept (“proficiency”) by repealing 4722-A and replacing it with 4722-B. Portland Press Herald written by Noel K. Gallagher, March 4, 2018. Many of you remember that in 2008 a statewide arts education census was conducted. At that time the work was lead by the Maine Alliance for Arts Education. Out of that work the Opportunities to Learn in the Arts reported the findings. The full report and executive summary are located at https://mainearts.maine.gov/Pages/Education/Arts-Education-Census. At that time PK-12 Visual and Performing Arts Educators were asked to complete a lengthy survey. It is time to update the information and get a clear picture in 2016 what is happening statewide in arts education. This time every Maine school Principal is being invited to complete the survey. Principals may be asking you (PreK-12 arts teachers) to help complete the survey. I urge you to participate in any way that you can so we can get a complete picture. Our goal is 100 per cent – without every school participating we will not have a complete picture of Arts education in Maine! Below is today’s news release from the Maine Arts Commission. You can learn more about the census plan and the opportunity that you have to participate at http://mainearts.maine.gov/Pages/Education/Arts-Education-Census. Please email me at argy.nestor@maine.gov if you have any questions. The Maine Arts Commission is leading the effort to conduct a statewide inventory of all arts education resources in the state’s 751 PK-12 schools currently recognized by the Maine Department of Education. Data collection has just begun and will continue through May 2016, with the goal of collecting information from 100% of Maine schools. Identifying the changes in Maine’s visual and performing arts education programs and resources since the 2009 census. Discovering where students have access to quality arts education and where it is unavailable. Development of a comprehensive report to inform stakeholders and policy makers at both the local and state levels. Broad sharing of the census findings so that it can be used to frame conversations, evaluate where programs or program enhancements are needed, and guide policy-making decisions. This work is an important part of the education initiative of agency’s recently-completed, five-year cultural plan. The education component of the plan will guide and inform the agency’s work in educational collaborations, promoting arts learning and enhancing the quality of arts education throughout Maine. For the Census, the agency is collaborating with the Maine Department of Education and a steering committee comprised of representatives from the Maine Principals’ Association, Maine Superintendents, Maine Alliance for Arts Education, New England Institute for Teacher Education, Maine Art Education Association, Maine Music Educators Association, cultural and arts organizations, and PK-12 educators. More information about the census can be found at http://mainearts.maine.gov/Pages/Education/Arts-Education-Census. The Maine Arts Commission shall encourage and stimulate public interest and participation in the cultural heritage and cultural programs of our state; shall expand the state’s cultural resources; and shall encourage and assist freedom of artistic expression for the well being of the arts, to meet the needs and aspirations of persons in all parts of the state. Last week 75 students in grades PK-12 were honored for their accomplishments in visual art and music education. We celebrated in the Hall of Flags in Maine’s State House. We are honored to have the First Lady Ann LePage as a partner in the Excellence in Visual and Performing Arts Education and to join us in recognizing the students in the ceremony. Joining the First Lady in the Hall of Flags was Maine Arts Commission Executive Director Julie Richard, State Board of Education Chair Martha Harris, Acting Education Commissioner Bill Beardsley, and Legislators, Mick Devin (Nobleboro) and Martin Grohman (Biddeford). Students from AOS 93, AOS 92, MSAD 41, and the Biddeford School districts were presented certificates and viewed their artwork on display throughout the State House complex, in the Maine Arts Commission and the Maine Department of Education. Additionally, students from the Waterville High School Jazz Band under the direction of Sue Barre and a select choir under the direction of Ciara Hargrove performed at the ceremony. I know that Sue, Ciara and visual art teachers Lisa Workman, Kate Grant, Suzanne Goulet, and Sasha Bladen are proud of their students’ accomplishments! This is a first for the State of Maine. The Maine Department of Education and the Maine Arts Commission are collaborating to bring together this exhibit and in celebrating the students and teachers in a ceremony. I am sooooo excited that this is happening for Maine’s students and teachers! It is a pleasure to work with Maine’s DOE Visual and Performing Arts Specialist, Beth Lambert on the Excellence in Maine Visual and Performing Arts Education exhibit and celebration ceremony. If you have questions or are interested in participating, please contact Beth at beth.lambert@maine.gov or me at argy.nestor@maine.gov. Photo credits to the Maine Department of Education and the Maine Arts Commission. Maine Department of Education – Call to participate! 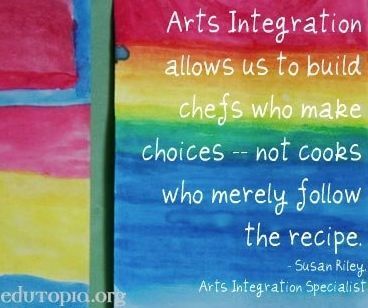 The Maine Department of Education invites you to be part of a brand new professional development opportunity, The Maine Arts Education Resource Project – Integration (MAERP-I). MAERP-I is looking to bring together teams of teachers and artists to explore and create arts integration classroom units to be shared on the Maine Arts Education Resource Bank. Teams will consist of one arts teachers, one non-arts teachers, and one or two other content area teacher(s). One of the additional members could be a teaching artist from the Maine Arts Commission Teaching Artist Roster or another type of specialist (librarian, technology, industrial arts) or someone from your regional CTE. If you have questions about the makeup of your team feel free to give me a call to discuss it. Under the expertise of Lisa Donovan, Ph.D, co-author of the series, Integrating the Arts Across the Content Areas, teacher teams will be guided through the process of working as a team and creating integrated lesson plans and performance task assessments that are rigorous in all content areas involved. Once units are created, they will be peer-reviewed and re-worked. Units will then be posted to the Maine Arts Education Resource Bank. As a culmination of their work, teacher teams will present their work to other teacher-leaders at the MALI (Maine Arts Leadership Initiative) summer institute. If you are interested in participating fill out an application here. Only one application is necessary per team. If you have any questions contact Visual and Performing Arts Specialist, Beth Lambert at beth.lambert@maine.gov or 207-624-6642. Attend a day-long face-to-face meeting for professional development with Lisa Donovan, Ph.D, on the process of working as a team and creating integrated lesson plans and performance task assessments that are rigorous in all content areas involved. Jan. 15th, 2016, locations TBD. Attend two online check-in meetings. Feb. 8 & May 12th. Attend a day-long face-to-face critical friends meeting to give and receive feedback on units. April 8th, 2016, location TBD. Submit draft lesson plans on March 4th and April 4th. Submit final lesson plan on June 3rd. Attend Maine Arts Leadership Initiative summer institute to present work, date TBD. For over ten years, the Maine Department of Education and the Maine Arts Commission have been fortunate to celebrate arts education by hosting rotating student art exhibits. These exhibits celebrate the high quality of visual art education in Maine. This year, the Department and Commission are combining their efforts to provide these exhibits. The rotating exhibits will be displayed throughout the State House complex and in the Department of Education. Each exhibit will feature two districts from two superintendent regions in Maine. Each district will display 24 pieces so please reach out to the other art teachers in your district. During the period your students’ artwork is displayed, the artists and their families will be invited to the Hall of Flags for a Celebration of Excellence in Visual and Performing Arts Education reception. The Department of Education and the Maine Arts Commission will recognize each student for their accomplishments. The reception will feature performances from the districts represented in the art show. Please consider submitting your students’ artwork. The exhibition guidelines are below. If you are interested in displaying your student artwork, please contact Beth Lambert at 624-6642 or beth.lambert@maine.gov. Beth brings 10 years of education experience at the middle and high school levels in the Arts. In addition to her classroom experience, Ms. Lambert worked for Syntiro as an assistant director for the GEAR UP grant and served as a research assistant at HGSE. Through her involvement in the Maine Arts Leadership Initiative (MALI, formerly Maine Arts Assessment Initiative, MAAI) and her local leadership in standards, curriculum and assessment, she has extensive experience with proficiency-based assessments, student-centered teaching and teacher leadership. Beth was a member of the MALI Resource Bank team in 2013-14 and created resources that are available as part of the Maine Assessment Resources website http://www.maineartsassessment.com/. Theatre at http://maairesourcebank.pbworks.com/w/page/82916230/MAAI%20Resource%20Bank. Beth is involved with state and national VPA professional organizations including the MALI, the Maine Drama Council and Maine Arts Commission with Poetry Out Loud. I know that you will all join me in welcoming Beth to the Maine DOE, during her first week on the job. You can reach her at beth.lambert@maine.gov. We are certain that her commitment and passion for arts education makes Beth a GREAT choice for the position and look forward to working with her through all of the work underway for Maine students and the ARTS! Yahoooooo!